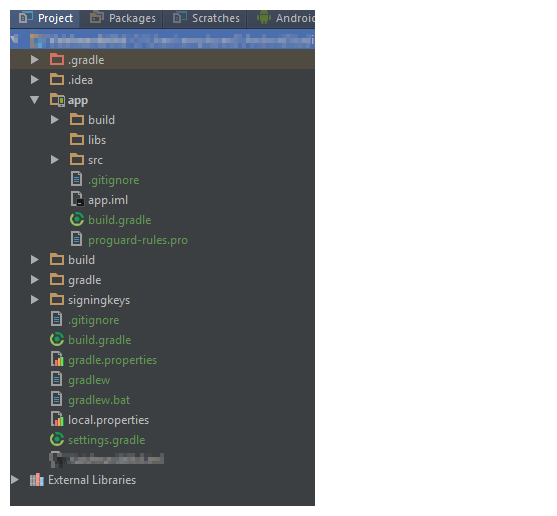 Hi Guys, In this post, I’ll give details about push project source code to Bitbucket repository from Android Studio. 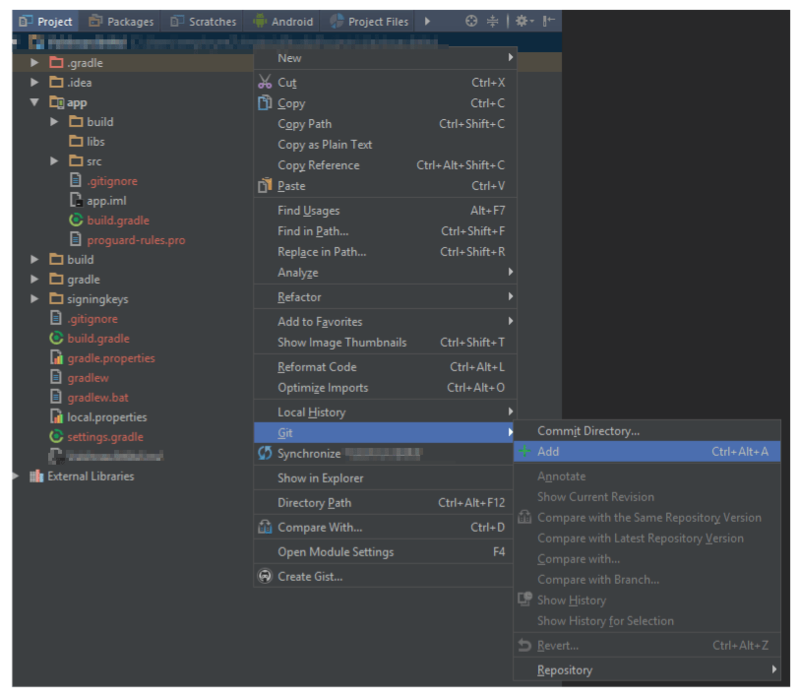 When you started working on a project in Android Studio, you may want to store the project code to safe remote server. For this purpose its recommended to use Bitbucket repository system. Which will allow you to create repository and push all source code safely. Important feature it’ll provide you all Git features with Project management system. So you can create Multiple branches and Tags and manage your source code safely even with multiple developers working on a same project. You need to have BitBucket Login for creating new repository, If you not have you can create a Bitbucket login here. After creating Account, Login to BitBucket website and Create a new repository. And get the link for new repository. It’ll be used in Android Studio later. 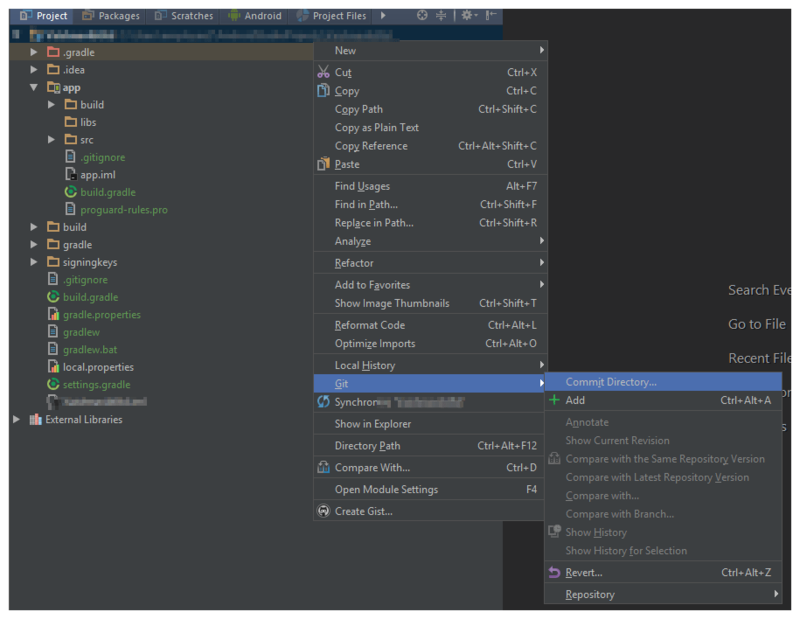 Ok, Now Open Android Studio with your project source code. Go through the below steps to Push project. 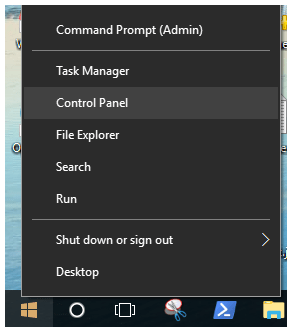 You’ll see Popup to select version Control System. here select Git and click OK.
You’ll see your Project files changes to orange colour. It’ll display a Commit Changes dialog, Enter your Commit Message and click Commit. Now right Click on Project Source Code, in menu Go to Git-> Select Repository -> and then Select Push… or else you can type shortcut keys Ctrl+Shift+K . 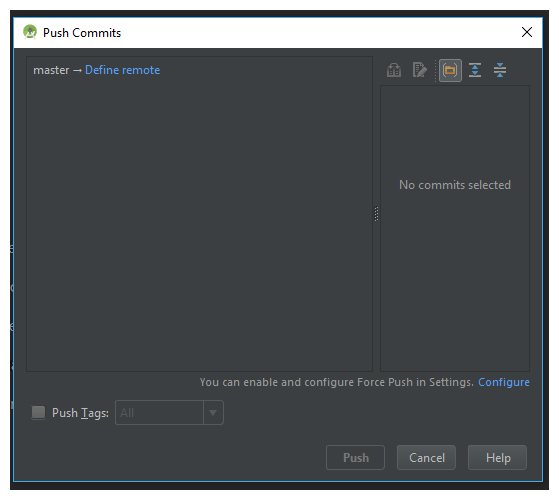 You’ll Push Commits dialog, In this dialog you’ll see master –> Define Remote. 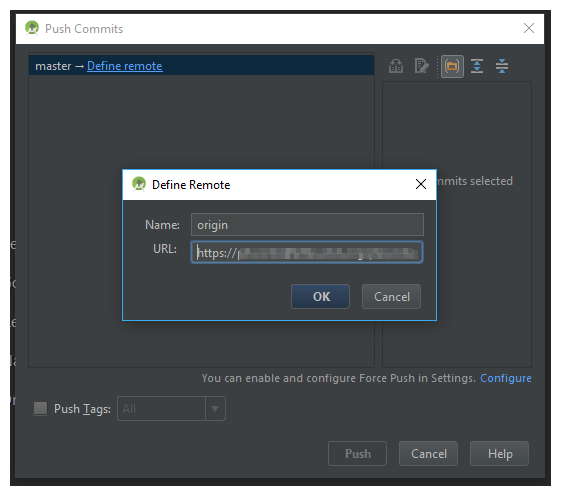 Click on Define Remote, It’ll display a Define Remote dialog. In this dialog paste the URL(that is taken in Bitbucket after creating repository). 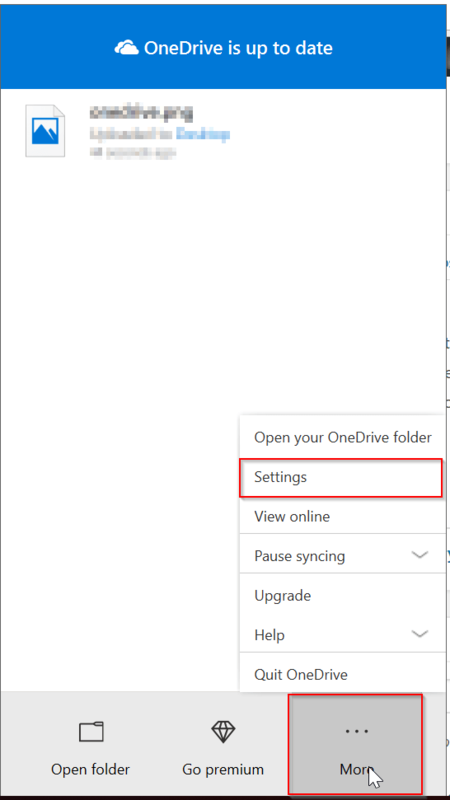 And click OK.
It’ll show all the Committed files and message you entered before when committing directory. Now Click on Push. It’ll push all code files to Bitbucket repository. Now if you go to bitbucket website in a browser and open your repository and refresh it. You’ll see project source code pushed safely to your repository. At times, when you chatting with your friends in your local language using English text. 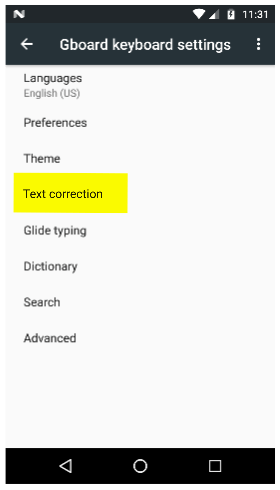 You may see typed text is Auto corrected to some English vocabulary text, which will change whole meaning of the message. 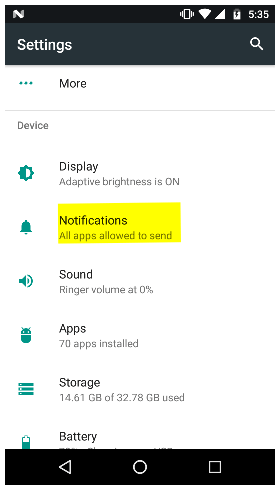 You may wonder about the wrong sent message. 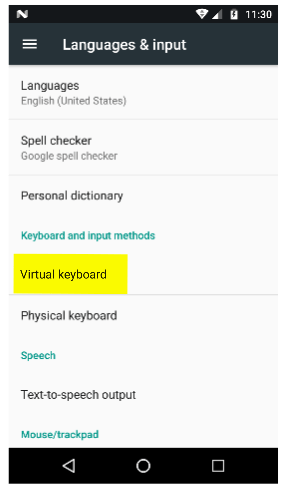 It’s due to Auto Correction feature in Phone Keyboard settings which is turn ON by default. To avoid this problem, Its always better to disable auto correction for typing in phone. 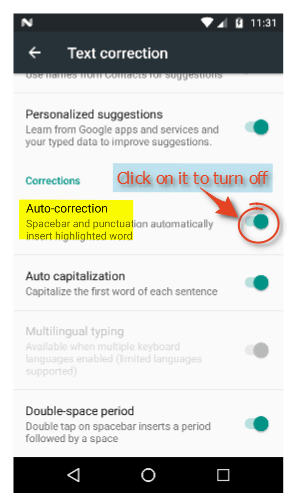 Below gives details for disable Auto correction text. here you’ll see Auto-Correction is turned ON. That’s it. Now next time on wards you can type your messages freely without any worry about auto text correction. 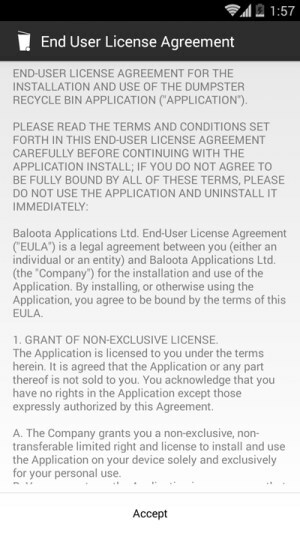 When we need to show long text like Terms and conditions in EditText. 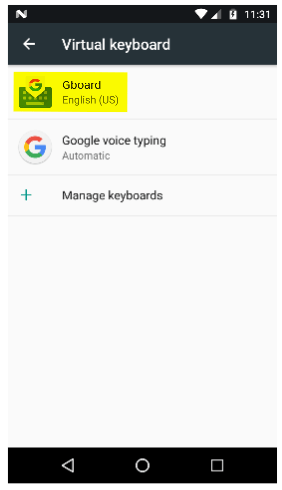 We need to allow scrolling and it should not be editable. Its not allowed to Edit. 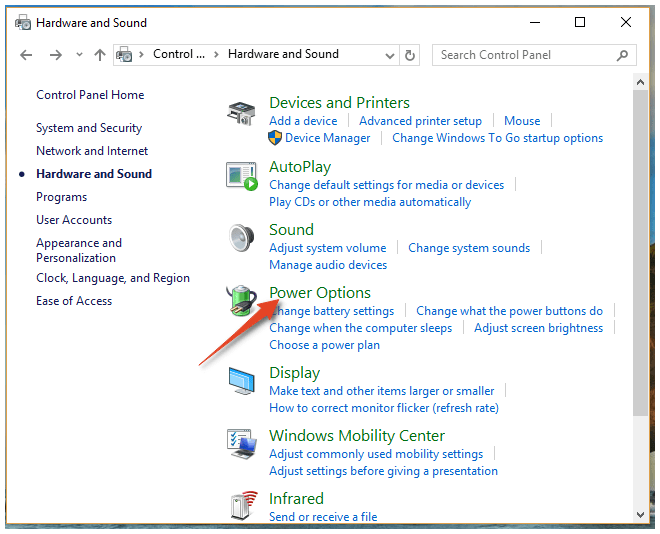 But unable scroll text in EditText. And Finally i found the work around for it. Added this line in code. Welcome, to your favorite music app store. 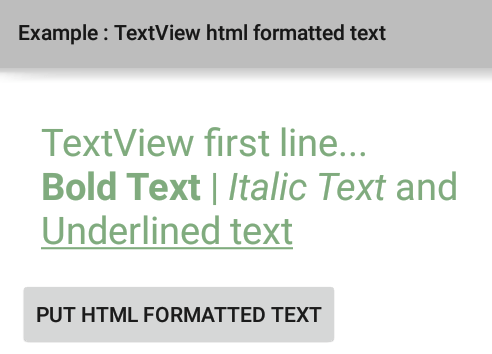 You’ll apply this wecome_text in a TextView in Java code as below. 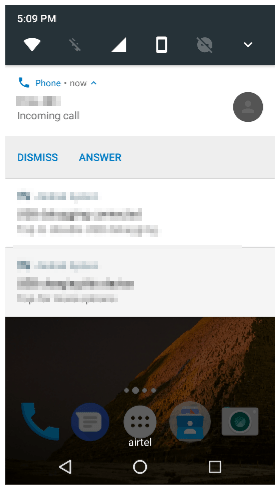 Here comes the issue, In both ways you’ll miss bold text for Welcome text. even if you try this Html.fromSting(string) method it wont work. 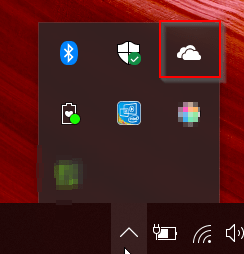 You may wondering about this issue, why its not working suddenly which worked before. 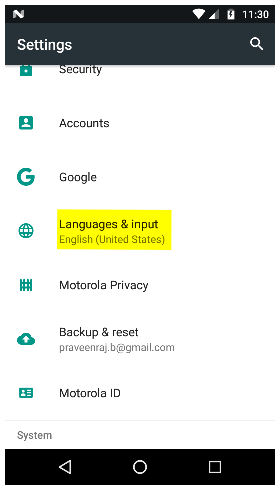 The reason for this issue is you are converting to String which ignores html tags. 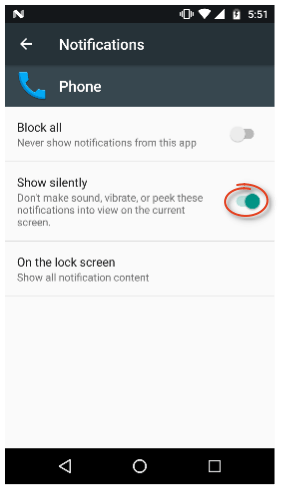 In this post, I just like to sum up all the issues faced after updating Android version. 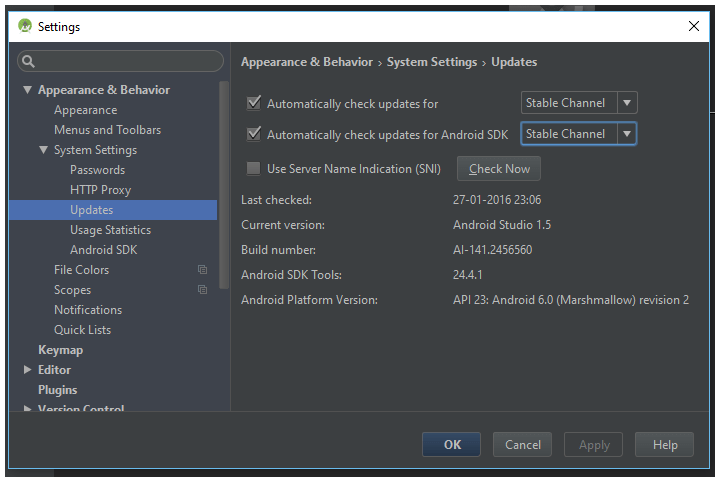 After updating to Android Studio 2.0v, you may see following issues. 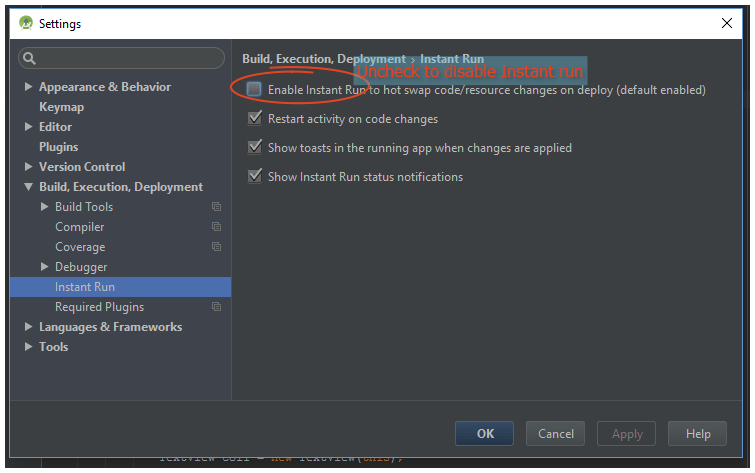 You’ll be asked to install latest gradle version to enable Instant Run. you think it helps and installs the latest Gradle version. 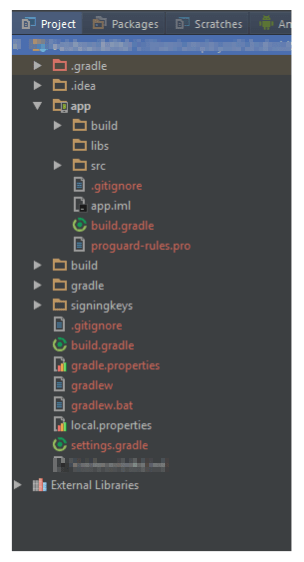 Please assign more memory to Gradle in the project's gradle.properties file. 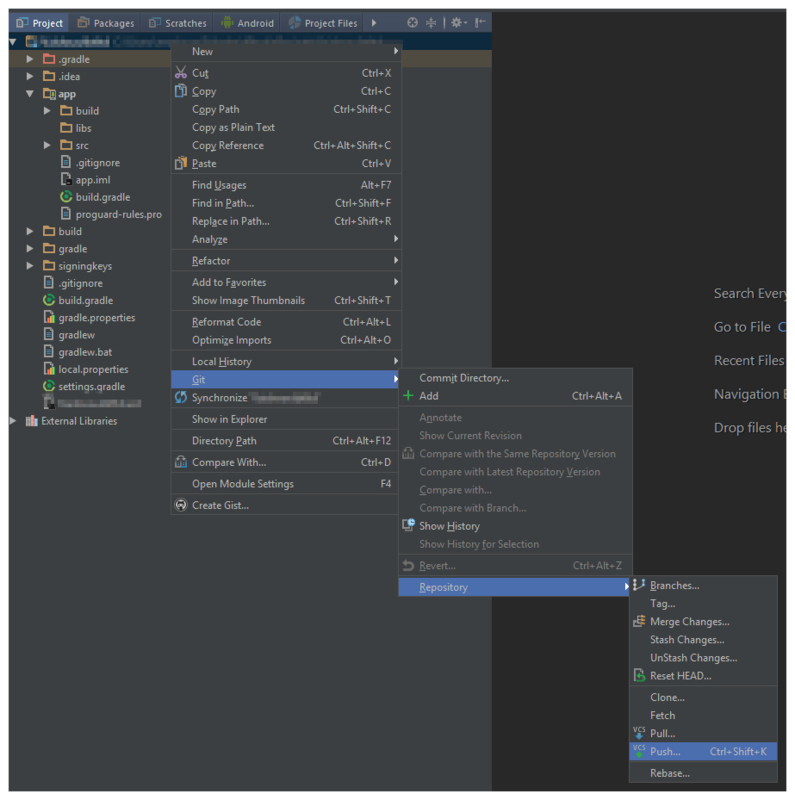 The only thing that worked for me is adding javaMaxHeapSize value of dexOptions in app’s build.gradle file. 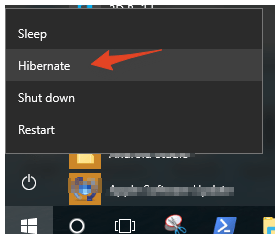 this fixes the OutOfMemoryError issue. The reason for this issue is the latest version gradle needs more memory to build the app. 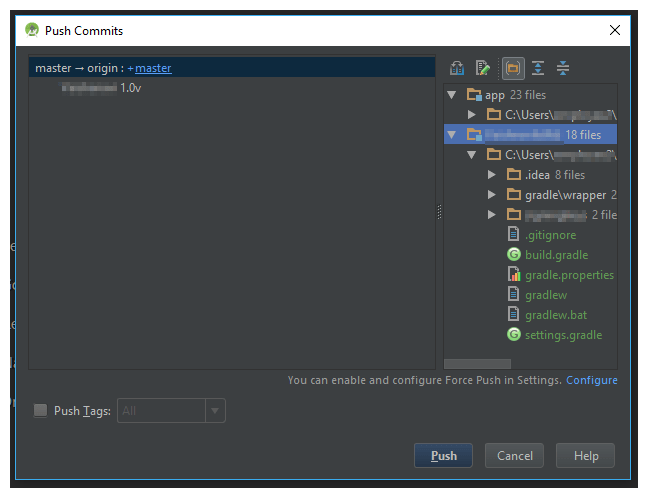 Error:Execution failed for task ':app:transformClassesWithJarMergingForDebug'. So, finally After fixing all issues and you’ll be able to run the app. 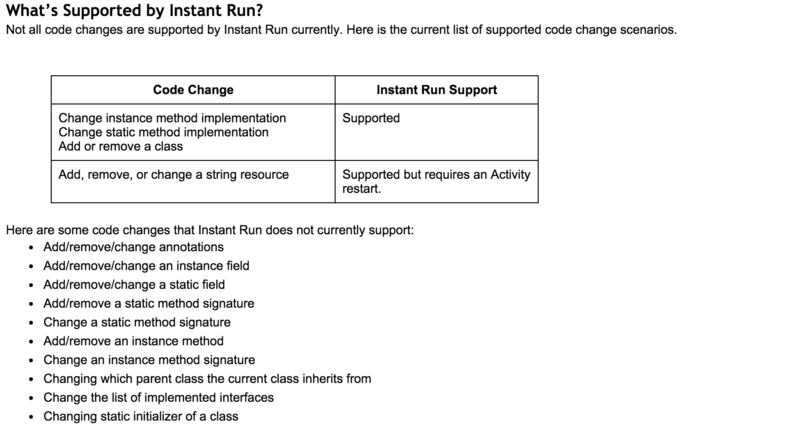 The reason for this Instant Run not recognizes certain code changes, and it also needs latest android API. 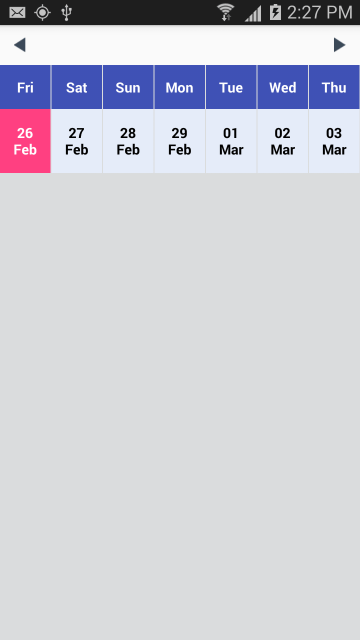 Simple Weekview calendar implemented using GridView. 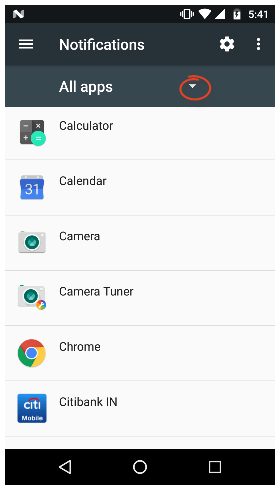 I tried to search for a simple Weekview calendar, which display 7 week days. But not able to find a simple one. So i implemented simple weekview calendar which just displays 7 week days with left right buttons to load prev/next week days. 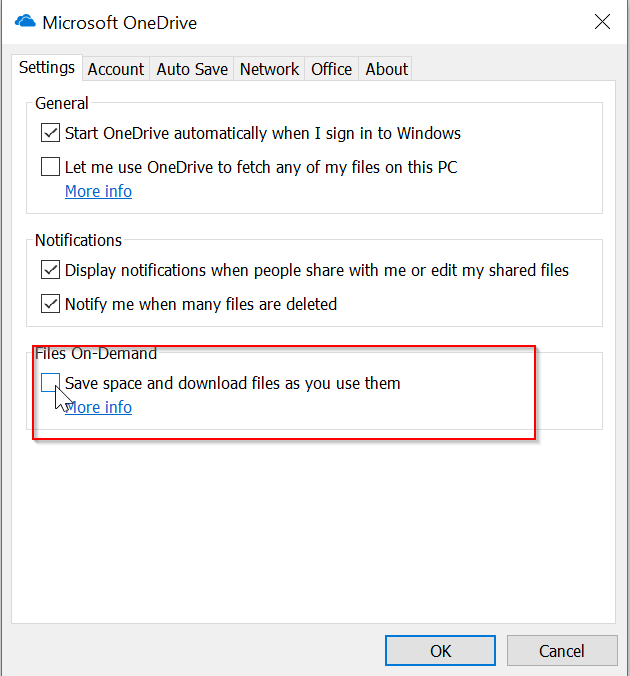 Download source code from this link. 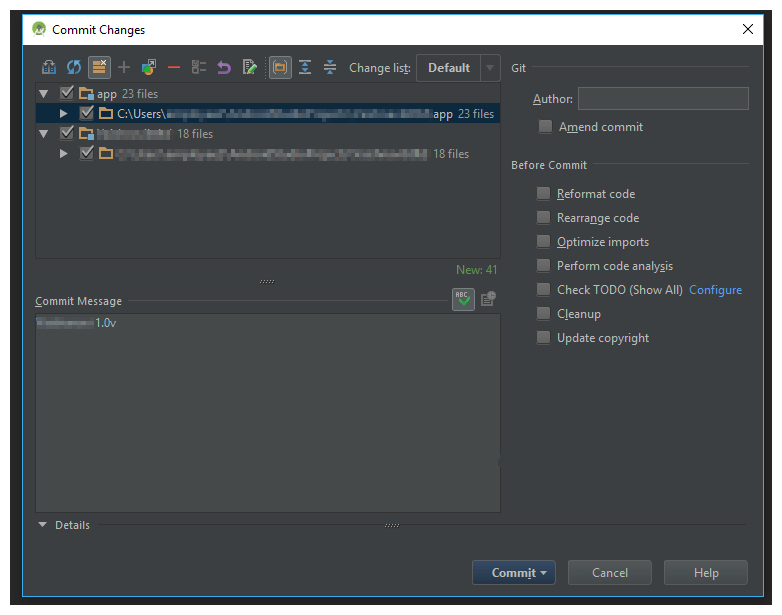 In Android Studio, you may see “A new version Android Studio available” popup message at the top right corner, whenever latest version available to update. 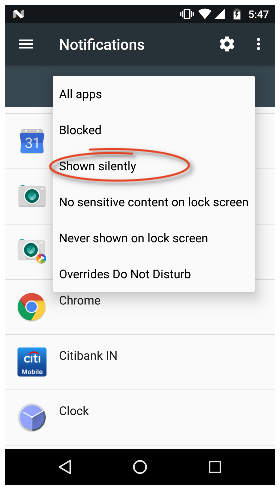 When you click on that popup message link, you’ll see a dialog with a button, which allow you Update and Restart Android Studio. 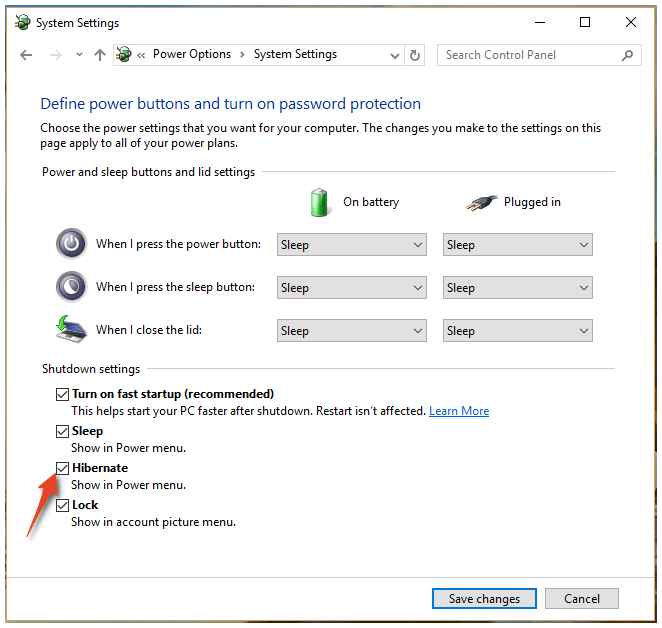 But at times you may not see Update and Restart button, as shown below. 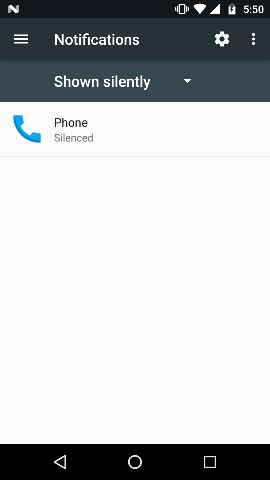 As shown in above image, There’s no button to Update version. 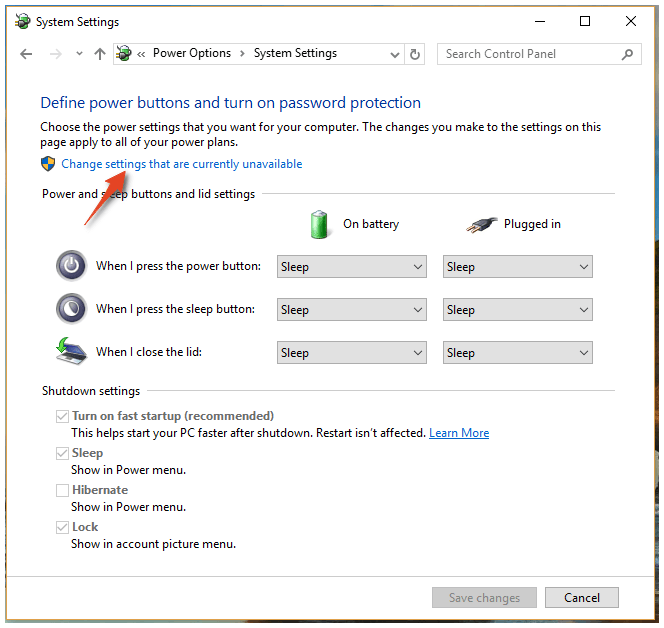 You may be wonder why and how you can get install the latest version. Here is the solution to fix that issue. 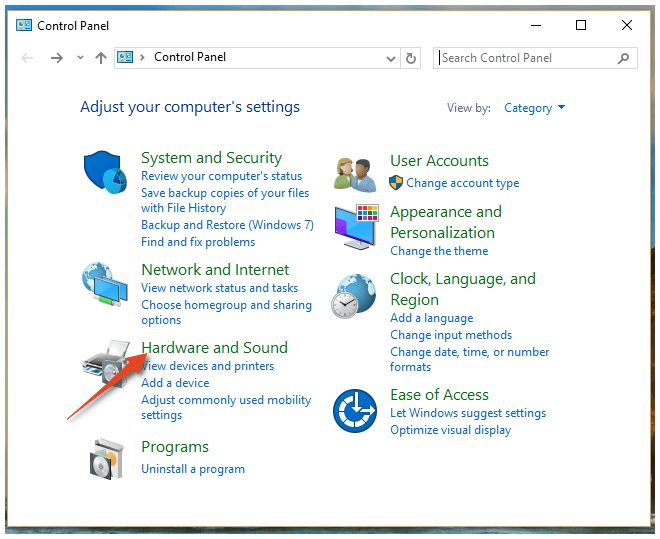 Goto Settings-> Appearance & Behavior -> System Setting -> Click on Updates and then in the right panel you’ll Check Now button. Click on Check Now button. It’ll check for the latest update and fixes download issue. 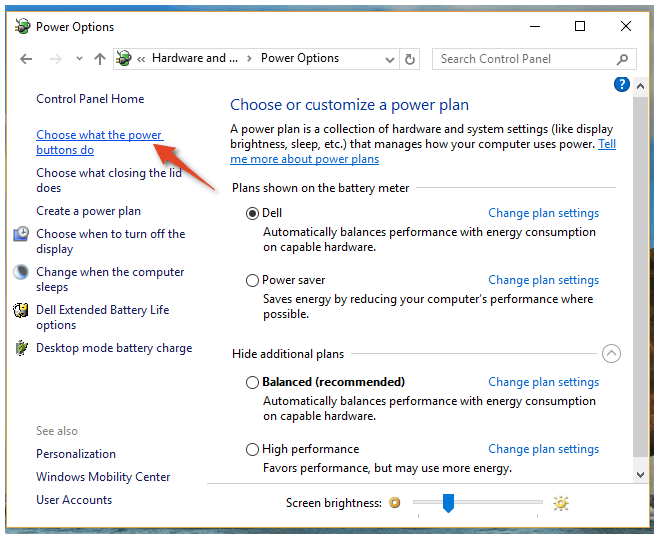 Now close the Setting window. 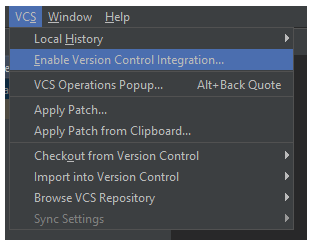 And try again to Click on “A new version Android Studio available” popup message link. You’ll see Update and Restart button. Click on it You’ll get the latest version installed.